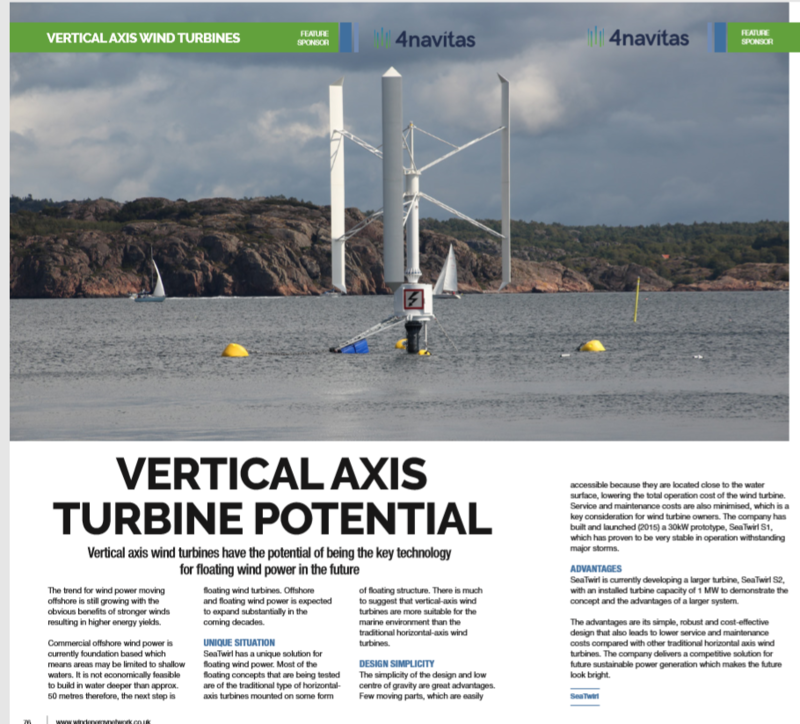 "Vertical axis wind turbines have the potential of being the key technology for floating wind power in the future." Read more in Wind Energy Network's latest issue. In the deep waters out at sea, conditions are different. Innovative solutions like SeaTwirl that makes the most out of those conditions, will have advantages over land-based solutions that has been adapted to the sea, writes the British Wind Energy Network.